This entry was posted in Reading and tagged books, Cape Cod, fiction, giveaways, indies, Kindle Countdown, novels, ocean, summer reading, summer reads by Sheila. Bookmark the permalink. Wow, I’m so honored that my book is up there on the list with the likes of “Lincoln in the Bardo.” Yours has been on my to-read list for way too long. I need an extra lifetime just for reading. Sigh. I’d love an extra lifetime just for reading! There are so many that have been on my list for too long. Hopefully we’ll find more time this summer somehow! I’m reading A Handmaid’s Tale now and I love it so far, so now I really can’t wait to read Surfacing (and so many others)! Here’s to longer days and reading sessions – happy summer! Thanks for sharing these, Sheila. I read all of the blurbs and they all sound great. I want to take you for adding to my ever-growing TBR stack! Now, if I could only take some time off and just read, that would be perfect. On the beach, of course. Have a great summer! I’d love that too – we should all get extra reading vacations! It’s always exciting when we have an overflowing TBR stack. I hope you’ll get to that beach. Happy summer reading! What a lovely selection of books, thank you for sharing them with us. I’m reading a memoir on being a medical resident (the name of the book escapes me just now). The doctor speaks of how important it is to maintain a sense of empathy and compassion. 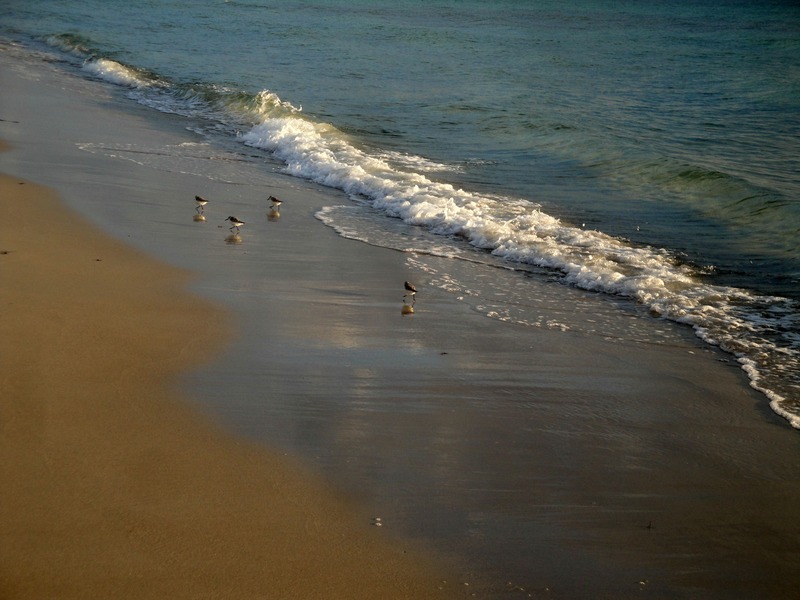 Hope you have been able to go for another dip in the ocean! That sounds like it should be required reading for all doctors. I’m glad you’re enjoying it! So far I’ve only dipped once but maybe I’ll get to again this weekend if the rain holds off. Say hello to the squirrels for me and thanks so much for the Twitter share – happy summer reading! The squirrels say hello back (actually they are running away in terror from the little terrier who accompanies me everywhere I go, haha). Hahah – I’m glad you have some wild kingdom entertainment going on out there to liven up the book reading! I hadn’t even known there was a movie – I’ll have to check it out. I’m excited for all the summer reads and can’t wait to dive into your books! No I haven’t read any. Thanks for sharing. I’ve heard good things about them so I’m looking forward to devouring them all this summer! Looks like a great set of books. Reading never gets old, does it? It’s always exciting to look through the to-read pile at all the opportunities! I hope you’re having a great summer so far filled with lots of reading and chocolate! Yeah, it’s been fun. Got to go hang out at the beach in June and loved it. That’s great! I’ve only been to the beach a couple times so far but I guess that’s what happens when we live near these places. I’m glad you were able to listen to the waves for a while! Thank you so much for including my books on your list. What a treat. I was happy to have the opportunity to read and review your book — with a TBR pile that stands taller than my bedside table, I reserve the right to shuffle books to the top when they call to me. Glad I did that with yours!! Thanks Kate! I hope your TBR pile doesn’t fall over on you while you’re sleeping! I know what you mean – there are so many books that I’ve been wanting to get to for so long. Hopefully we’ll find more reading time this summer somehow! Orphan Train is another one that I’ve been wanting to get to for a while – thanks for reminding me! A Man Called Ove has been mentioned to me by a lot of different people so that one might have to be next. Thanks so much for stopping by – I’ll make sure to add your name to the giveaway. Happy summer reading! Thanks Aquileana! I hope you’ll find lots of great summer reads out there and hope you had a fun weekend too! Such an array of books to keep you occupied and entertained. Lately I have been reading books which were written in the 30s or earlier. Having said that the book I have enjoyed most this year was written in the 80s……..http://www.leprosy.org.nz/shop/books/makogai-image-of-hope/ Makogai Image of Hope……the story of a leprosy hospital in Fiji . Absolutely wonderful. Wow – that sounds like a powerful one. I love books that will make us look at the world in different ways or teach us something and that sounds like one of those. It’s always fun to read books from earlier time periods too – as a way of time traveling. I hope you’ll find many more great books to read! With reference to the Makogai book you would be happy to know how important the environment and the sea were in the overall treatment of leprosy…… and today the island is home to a Marine Research Centre for fisheries commodities especially the spawning of giant clams (vasua) for reseedings on marine protected areas (MPA) to enhance local stock. That’s great to hear! The ocean does so much for us, so I’m happy to hear of any marine protected areas like that. Oooh, so many temptations! I bought the Serpent of Essex on a recent trip to London, but can’t bring myself to read it because then it will feel like the trip is officially over (I’ve already read all the other books I lugged home)! That would be great if the book could bring the trip back for you. It can be fun to put off reading a certain book for a while to let the anticipation grow. I’m glad you had fun in London while finding lots of books to read! It seems I always end up with half a library in my suitcase whenever I return from London. Not quite sure what it about that place that inspires so much book buying in me! That sounds like the perfect vacation to me! That looks like an interesting selection of books Sheila. I’ve read Kate’s first book and I’ve read Atwood’s Surfacing – I read it years ago and it always haunted my memories so I re-read it again recently. I’ve just finished a fantastic book called Fell by Jenn Ashworth. Good luck with the giveaway, I’ve already got my copy. Thanks Andrea! I’ll have to make sure to look up Fell since we have the same kinds of tastes in books. I can’t wait to read Surfacing now too. I hope you’re finding many more great summer reads! That’s great – I’ll have to look those up – thank you! I love books about traveling or any kind of adventure. I hope you’re finding lots of adventures out there lately! I love looking at other peoples’ book recommendations and the books on their ‘to be read’ lists. I haven’t read any of the ones you’ve mentioned above and have made a note of them. I have your book on my phone and hope to get round to reading it this summer. I love looking at other people’s book lists too. It’s sort of a weird way of spying while dreaming of all the possibilities. Thanks so much for getting Ocean Echoes – I hope you’ll enjoy the adventure! Sending hugs out across the ocean! Hahah – I can’t wait to start in on Ove! Your recommendation propelled him to the next-up spot so thank you for that. I hope you’ll be able to escape some of the renovations through a few great summer reads! That’s great – Kate is a wonderful writer! A Man Called Ove is at the top of the list because I keep hearing such great things about it. I can’t wait to read them all – happy summer reading! Yeah! I was just checking out the first one. It looks good! Can you get A Man Called Ove in English? I thought I heard it was written in Swedish or something? Happy reading to you, too, Sheila! Luckily for us, it’s in English too – I’m going to have to get to it soon! Oh good! I’m going to have to just order it someday. I doubt our library will get it. Audrey’s book is haunting and lingers long after you finish it. 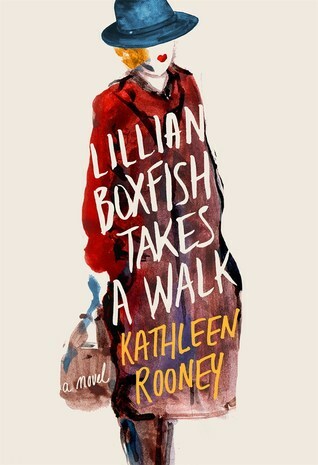 I read Kate’s first book on writing and it was great. I’m really focused on YA and paranormal reads this summer because my YA paranormal comes out this fall. 😉 Right now, I’m reading CJ Redwine’s The Shadow Queen. I’m glad you’ve enjoyed some of them already – I can’t wait to read them all. 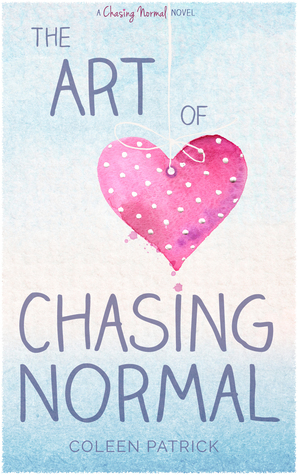 If you’re looking for more YA, I just started reading The Art of Chasing Normal by Coleen Patrick and I love it. Sorry I haven’t been here in a while – summer can be such a crazy time. Yes, it’s about time to head off to a beach to read as much as possible (or maybe a deserted island). 🙂 I’m happy to hear you’re enjoying the book! I hope you’ll find lots of others to enjoy for your summer reading. No problem. I’ve missed comments for a while myself several times. I haven’t much of your book left to read and will review it asap once I have. I must tell you that I review as Patricia Bunting on Amazon – not as my pen name, Millie Thom. Have a great holiday. Thank you so much for reading it! I’m looking forward to reading your books too. I love historical fiction and can’t wait to dream about the Vikings for a while. Sorry I’ve been away too. Life keeps getting in the way. I’ve missed your poetry though and hope everything’s going well with you. That’s funny – a couple other friends are reading the Harry Potter series and I still haven’t gotten to it yet. I hope you’re enjoying it! Happy Fall!